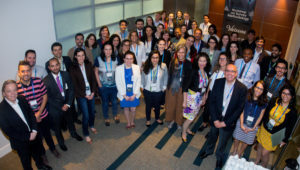 The VIII NIC.br annual Workshop on Survey Methodology which took place in Sao Paulo, Brazil from the 24th to 27th April this year had a good blend of representation from early career researchers and top management cadre of multilateral development agencies to globally-renown experts in the field of information communication technology. Participants were drawn largely from the Latin America, the Caribbean and a few of us from sub-Saharan Africa. For me, that was the first time in that part of the world, and the city of Sao Paulo with its multicultural and metropolitan bias provided a warm welcome to the Brazilian tropical paradise. The first two days comprised intensive and highly interactive thematic sessions covering aspects of the digital economy in general with specific plenaries on smart cities, e-waste management, and the digital risks of privacy and cybersecurity in the data era; emphasis was laid on the imperatives for enhanced data measurement and collection to aid evidence-based policy making in the digital era especially in the developing economies. The enlightening sessions provided me great exposure to other interrelated ICT areas within the context of the global discourse asides my niche areas, which will serve as proximal research areas during and after my doctoral studies. The final two days were more practical-oriented, and consisted of quantitative and qualitative methodologies for testing survey questions, especially as they related to the ICT domain. I never knew that such wide array of alternative methodologies could be uniquely useful in the collection and analyses of survey data. The focus was on testing questionnaires to ensure higher quality survey outcomes with respect to their reliability and validity. These included: standard pilot tests, interviewer rating forms, behaviour coding, expert reviews, systematic form appraisal, respondent briefing, cognitive interviewing, focus groups, split ballot tests, and computational linguistics – their relative strengths and weaknesses and how best to optimize their usage in practice. The imperative of this critical process for evidence-based policy making is to maximize policy impact, while addressing the actual issues of the community. This is achieved using a combination of the methods highlighted in minimizing measurement errors, reducing respondent fatigue, and thereby increasing response rates especially at the initial phases of data collection. Furthermore, sound questionnaire pre-tests elucidate the limitations and purpose-fitness of data sources in unique contexts. The experiences I gathered from the classroom sessions will be fundamental to the robustness and rigor dimensions of my data processes even for my doctoral studies and beyond. 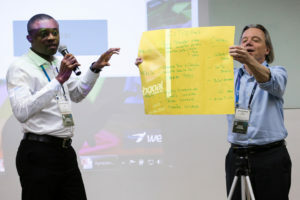 During the sessions, participants keenly weighed in on the critical issues of emerging technology adoption in the different developing regions, and furnished local knowledge in validating or otherwise project implementation and research outcomes especially with respect to data, policy situations, and skills needs required to close the gaps identified on the key issues that were addressed. The interactions with the global subject matter experts were resourceful as they opened new vistas of opportunity for networking and multi-disciplinary research within the themes and beyond. I personally had a session with the charismatic Prof. Johannes Bauer who gave critical insights into my proposed doctoral thesis, and even proposed to mentor me on the journey. In all, the workshop was time well spent and I can’t wait to be a part of the next. Até logo! 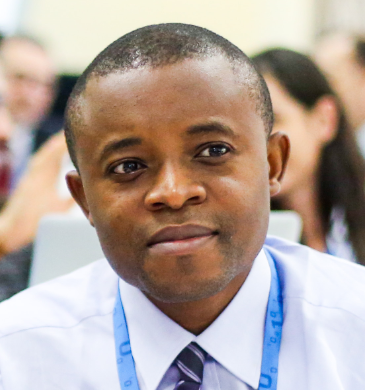 Raymond Onuoha is a Research Fellow at the Lagos Business School, Nigeria, where his research focuses on the institutional and policy challenges in the evolution of the digital economy and technology innovation in developing countries, with a special focus on sub-Sahara Africa. He led the certification strategy team of the Jobberman Alpha Digital Project in 2016, and also was a lead participant of the Africa Digital course, in collaboration with the Centre for Global Enterprises (CGE), New York, USA. He has worked on policy research collaborations between the Lagos Business School and the Research ICT Africa (RIA) on projects that entailed rigorous engagements with policy makers and the multi-stakeholdership within the ICT ecosystem in sub-Saharan Africa, proffering stakeholder-agreeable outcomes. Asides several policy and industry project reports, Raymond co-authored the paper – Platforms in Sub-Saharan Africa: Startup Models and the role of Business Incubation, which was published by the Journal of Intellectual Capital in 2018. Raymond is currently a doctoral student of the Graduate School of Development Policy & Practice of the University of Cape Town, South Africa, where his thesis interrogates platform competition policy in the multi-sided telecommunications market, and its investment and innovation imperatives for social welfare in developing economies. He had previous academic backgrounds in Physics, Economics and Statistics from the Federal University of Technology, Owerri, and the University of Benin respectively, both in Nigeria. His contact is raymondonuoha@yahoo.com.